Earn up to 1,040 reward points. A budget-friendly dreadnought ideal for campfires and singalongs. 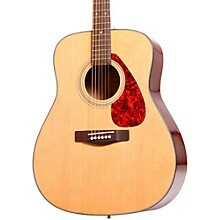 Yamaha's F335 gives you that classic dreadnought shape and sound at a price point that won't break your bank. The F335's tonewood combination includes a laminate spruce top, rosewood fingerboard and bridge, and meranti back and sides. Gold die-cast tuners provide smooth and accurate tuning while a tortoiseshell pickguard gives a bit more style. Case sold separately. 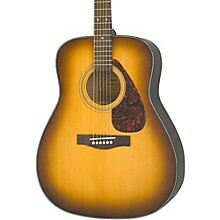 Check the drop-down menu to the right to select between a Black, Natural, or Tobacco Brown Sunburst. 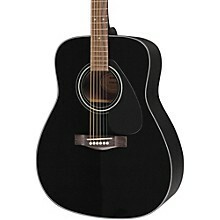 Want to get into guitars but don't have a massive bank account. Never fear, the F335 is here. Order yours today!